This third-generation family-owned bookstore has been a Fairhope landmark for over 40 years. 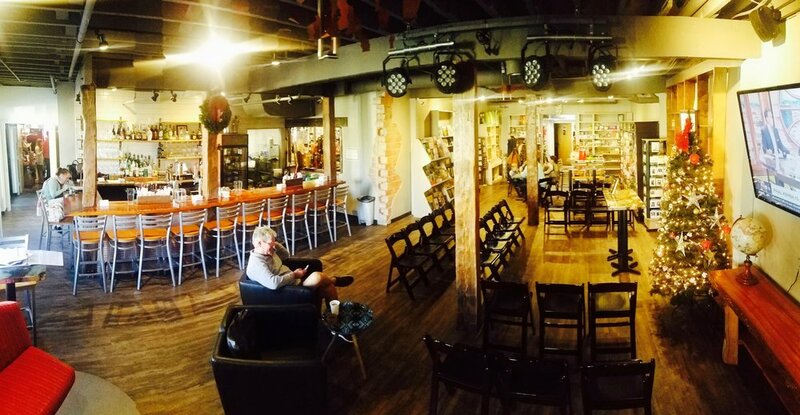 Proudly seated in the heart of the downtown community, we are a host to a range of author events from local, up-and-coming names to block-busting celebrities. In addition to new (and used) books, we also carry greeting cards, journals, and a variety of merchandise. All of this over a cup of locally roasted coffee in Latte Da or a craft cocktail with a literary twist in The Book Cellar, it's no wonder some of our customers never leave the store.